Facilities training is less than one week away! 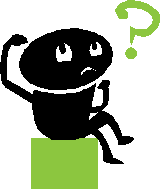 What things should you do to select qualified contractors and consultants in a way that complies with laws and regulations? Join instructor Mike Purdy from Michael E. Purdy Associates LLC as he discusses best practices and answers your questions. This event is free and very informative! Hurry and register, because space is limited. The National Recreation and Park Association as well as other states have taken notice of this incredible event. Check out the new schedule and register! WRPA will have 10 parks and recreation software companies present their products during this two day symposium. There will also be a Showcase & Demo room in which cities can speak individually with software companies if they have additional questions. What is your vision for Washington's outdoors? We are in need of WRPA representatives to attend upcoming meetings. As a supporter of outdoor recreation, you can help shape greater funding to promote recreation and protect the outdoors! We believe a strong WRPA presence and comments at all of the Governor's Task Force meetings is the most efficient way to get our message heard. The Governor's Task Force is launching an online town hall to get ideas about how to improve Washington's outdoor opportunities. We need your help spreading the word about the online town hall. Will you circulate the message below to your members, through your newsletters, Web or social media? The National Alliance for Youth Sports (NAYS) has a series of resources that provide actionable steps to help recreation professionals mend a multitude of problems in youth sports. Recreation professionals from across the country collaborated to create these guidelines that any community could implement to establish a strong and positive youth sports culture. On Tuesday, May 20, at 1-1:20 p.m. EST, NAYS will host a webinar, "All About the Recommendations for Communities." Those interested can register here. 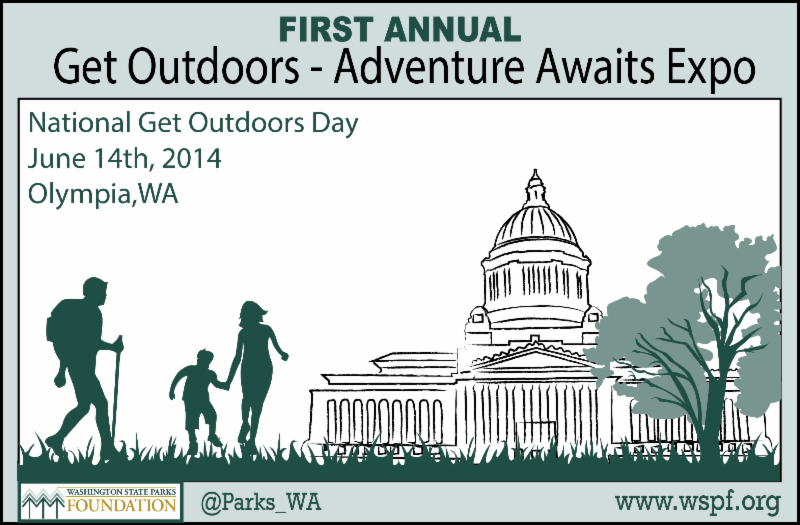 Save the Date for the first annual Get Outdoors — Adventure Awaits Expo, to be held on the Capitol grounds in Olympia on Saturday, June 14. June 14 is now National Get Outdoors Day, and events like this one will be hosted on the same day in Georgia, Colorado, Kansas and Oregon. Join Governor Jay Inslee, Washington State Parks staff and the State Parks Foundation (WSPF) for a celebration of state parks and summer! Governor Inslee will kick things off in the afternoon, and we'll help everybody get excited for fun in the parks with gear giveaways and cool activities like geocaching, short hikes, equipment demos and more. Please let WSPF know if you'd like to come and participate! WSPF can arrange to have a booth for your organization or help you pull something together to show your spirit. Since summer is rapidly approaching, please reply by May 14th. Please send us word at info@wspf.org or leave a message at 800-324-9605. Let's make it a party to remember. The Landscape Architecture Department at the University of Washington has been working hard on providing its students with valuable resources that can better connect them with local employers for internships and practicum opportunities. They have developed a space where employers can submit internships and practicum positions to a page that is only accessible by UW students. This new website will increase UW students' experience opportunities that will aid in their skill development. Log in or contact Vanessa Lee. Each year, the city of Tacoma's Landmarks Preservation Commission recognizes outstanding achievement in Historic Preservation during the Preservation Month of May. This year's recipients represent traditional preservation projects, community leadership, as well as broader efforts to revitalize Tacoma's historic downtown through innovative programming. Olympia's newest downtown park officially opened at the historic artesian well. Measuring 0.2 acres, the Artesian Commons occupies a once-blighted parking lot at 415 Fourth Ave. The site's makeover includes fresh paint and patio seating. "It's night-and-day better than what it was," said Paul Simmons, the city's parks director. When the City Council voted to put a measure on the August ballot that would create a Seattle Parks District with permanent taxing authority, some interesting voices spoke up in opposition. One of them was John Fox, the longtime head of the Seattle Displacement Coalition, which fights for affordable housing and social justice. Fox, in other words, is not your typical anti-tax crusader, and on most matters he would probably agree very little with a conservative like Tim Eyman. The colorful totem pole that welcomed residents and tourists alike at the city's Belvedere View Point Park from 1966 to 2006 has been fully restored and soon will go on display at the Southwest Seattle Historical Society's "Birthplace of Seattle" Log House Museum. The SCOTT Cougar Mountain Trail Run Series returns for a 12th season to Cougar Mountain Regional Wildland Park on May 10, with a wider variety of race options. Co-produced by Northwest Trail Runs and the Seattle Running Club, the race benefits King County Parks, with more than $126,000 raised since its inception. Volunteer work groups organized by the Seattle Running Club spend an average of 150 hours each year doing trail restoration work, including improving trail surface conditions, invasive weed removal and picking up trash.